We’ve discussed time and time again about how integrations can be used to dramatically expand the tools and solutions you are already using at work. Thanks to three simple and important letters, API, even the least tech-savvy user can combine two otherwise separate solutions, or even add in entirely new features. Integrations have become common in team collaboration and UC apps, and have grown to become a major stable of these solutions. However, many may not realize that the same exact tools they have been using since before integrations even existed can also be expanded with integrations. I’m of course talking about Microsoft Office. Word, Excel, Outlook and other Office apps already have a very healthy feature set, and they’ve been improved over the years. But, that doesn’t necessarily mean there isn’t even more room to grow. When Microsoft embraced the cloud and introduced Office 365, the otherwise legacy app suite opened up to a whole new world of usability. At the end of the day, Office 365 can do a lot, but the suite still does have a lot of gaps. 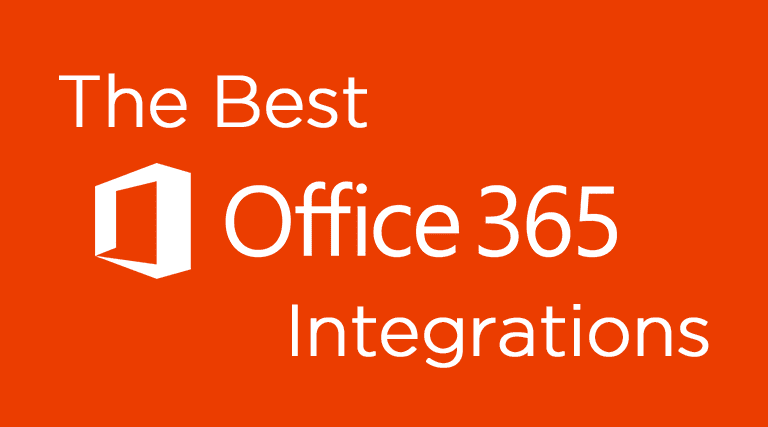 Since just about everyone still uses Office and Office 365 as their main productivity tools, we wanted to take a close look at what add-ons and integrations exist. 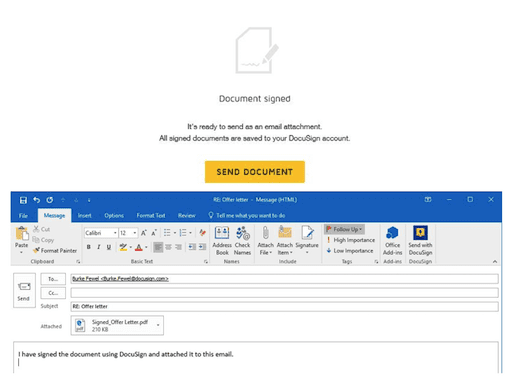 For an absolute time saver, DocuSign for Outlook is a must have for those who rely on their email communications. As one of the most popular e-signature solutions available, DocuSign is probably one of the most valuable additions you can make to Outlook, let alone the Office 365 suite. Essentially, DocuSign allows users to digitally sign any emails, contracts, or legal documents. Available for both Outlook and Word, the app also allow users to have a recipient sign documents securely. It can even automatically save copies of every single document into your OneDrive storage. Sadly, the service does require a $10 monthly subscription, but it can really help prevent the constant hassle of printing, scanning and faxing documents. A 10-day free trial is available as well, and worth taking advantage of. SharePoint is a really interesting web-based collaborative platform solution from Microsoft. For those who don’t know, SharePoint actually integrates with Office in multiple ways, and generally works as a document management and storage system. Users can setup a centralized, password protected space to share documents and files, like a database for your business. Combined with email or Microsoft Teams, SharePoint can be a useful addition. 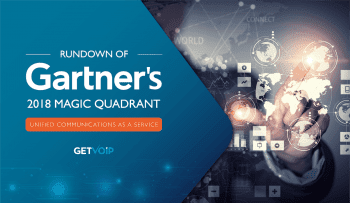 However, for the teams relying on SharePoint and email alone, there are some gaps to fill. For example, SharePoint doesn’t provide any sort of employee directory, which is a crucial aspect to an effective collaboration solution. But of course, getting back on topic, there’s an app for SharePoint that does just that. 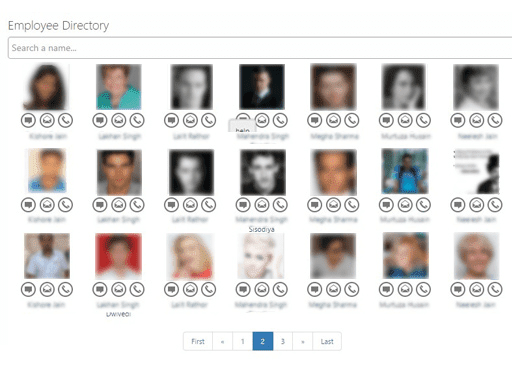 With an entire Employee Directory, users can search through teams, configure different themes and groupings for employees or teams, and even filter results by skills or locations. Always find the best teams for the job. Similar to one of our favorite VoIP and UC features, this Find and Dial Numbers add-on makes it super easy to transition from email to phone call. 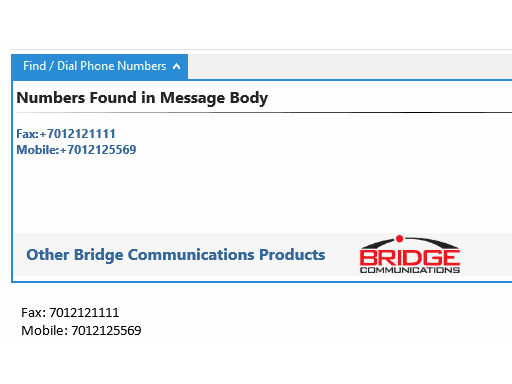 Just like the name states, this add-on will search through your emails within Outlook, and turn any phone number within any messages into clickable links. Clicking on a link will simply initiate a call, and dial out to that number. This doesn’t sound like such a big deal on the surface, but it’s really one of those features you desperately miss once it’s gone. The efficiency of simply clicking a link to initiate a phone call can save precious minutes. Ever dial the wrong number because you read it wrong? Removing any slight opportunity for mistakes can help us stay focused. Instead of abandoning your train of thought to place a call, all you have to do is click a nice little link. Now, here’s a familiar situation: have you ever sent out an email, and then realized you forgot to add the attachment? Have you ever sent an attachment, but then realized it was the wrong one? Have you ever sent out an email only to spot a glaring typo right in the first line? Well, you can avoid sending out a double email attempting to correct your mistake, and instead simply edit the email. 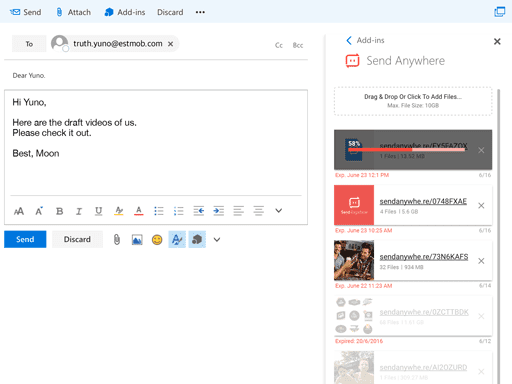 DocSend is a really cool add-on that gives users the power to track, control, and even update the documents they email from Outlook — and yes, this control is available even after you send the email. 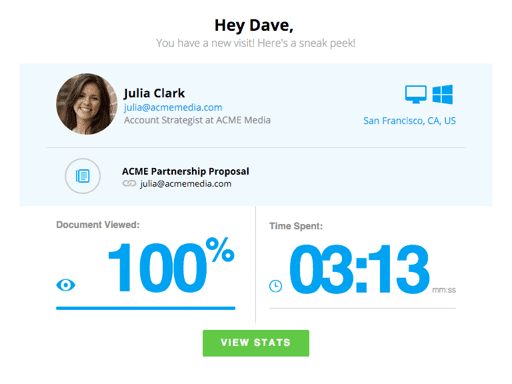 Users can update the content they send at any time, and their recipients will only ever see the final edit. There’s also some cool metric features, like page-by-page engagement, and the ability to see who exactly is viewing the content. This could be a great tool to avoid email blunders, but also a great way to track the engagement on your newsletters and sales emails. Microsoft’s Power BI is a top choice for many businesses when it comes to business intelligence solutions. On its own, Power BI is capable of generating some really detailed visual aids. 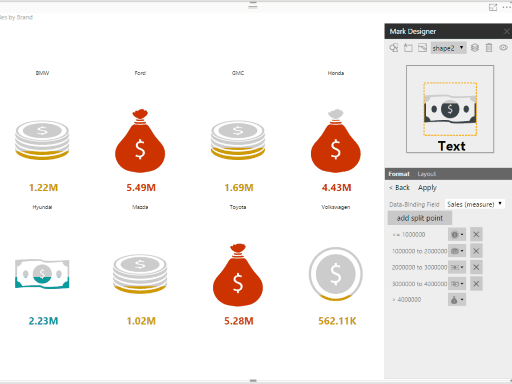 But of course, integrations can always add something that was previously missing — even from something like Power BI. One of our favorite add-ons we’ve come across was the Infographic Designer. Being big fans of infographics ourselves, we see this as a must have add-on for any business that needs their data to tell a story. If you are already using SharePoint as a central resource hub for your business, then adding in an FAQ Page is the next step. 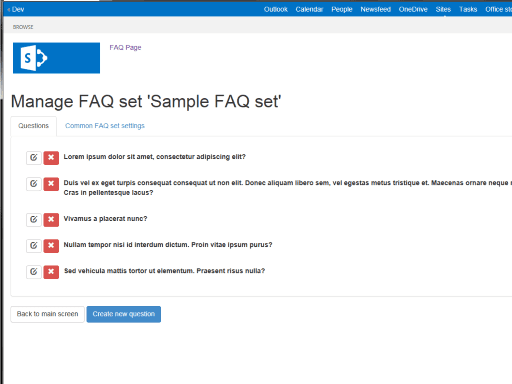 This add-on allows users to establish a complete Frequently Asked Questions page for their teams in SharePoint. With a built in text-editor, its simple for anyone to compose a new FAQ, or even edit existing questions and answers. Users can control the question ordering, add in animations, or even search through the list to find their exact question. FAQ Page would be a great training tool to help teams get new members on board faster. An FAQ page could also serve as a very quick “go-to” reference for even veteran employees by listing useful reference information for projects or tasks. Like just about all email services, Outlook unfortunately places a file size limit on attachments and documents. This can really limit the file sharing capabilities of Outlook if your business does not utilize SharePoint or any other file transfer services. But, if you want to stick to using just Outlook, then the Send Anywhere add-on is for you. Users can add attachments as big as 10gb, completely bypassing any file size limitations that Outlook natively has. Send Anywhere adds in a new layer of security, too. Instead of sending the attachments themselves in the email, Send Anywhere sends a URL that’s placed inside the email. The recipient then only has a week to open and access the file before it expires. 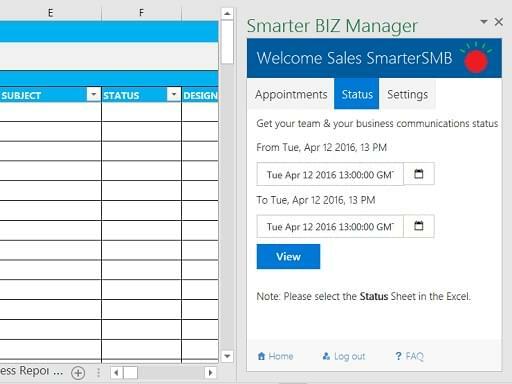 Working in conjunction with Smarter BIZ cloud services, this add-on allows anyone to completely transform Excel into a fully functional mobile CRM. Users can create all appointments directly within Excel, distribute the appointments to a sales team on Android mobile devices (if that’s what your business uses), and gain real-time status updates of all customer communications. The real added benefit here is how closely the entire platform ties into the Android app, and provides managers with a simple “base of operations” right within Excel. Users can also use the integration to bring in some really powerful information to their Excel spreadsheets, including GPS locations, call logs, call records, the status of assigned appointments, or any new appointments that are created for follow up calls. Overall, Smarter Biz Manager can prove to be a simple tool for SMBs to help boost, and automate their sales. The entire platform makes it simple to follow up with and manage leads. Email and Outlook on their own aren’t necessarily the most insecure services out there. However, if you want to go even one step further in security for Outlook, then IXD Secure Mail might be your choice. 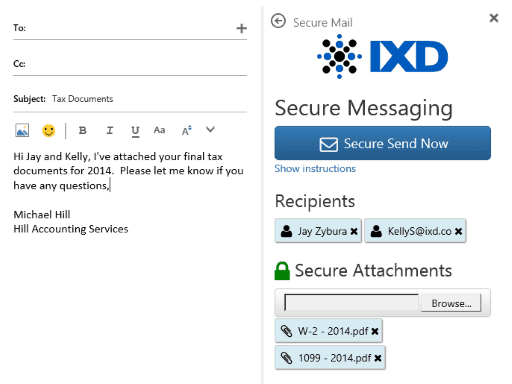 IXD is all about securing emails and documents you send using end-to-end encryption. 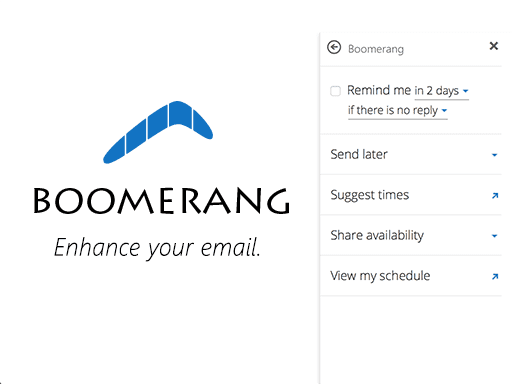 Dubbed as the “ultimate email productivity tool,” Boomerang is the add-on you want if your team isn’t necessarily searching for an email replacement. With some really useful features, Boomerang gives users complete control over their inboxes and outboxes. Users can schedule emails to be sent at an optimal time or schedule meetings through email. Boomerang can also remind users to follow up on important messages that don’t have a response. Boomerang even has a unique “snooze” option, which causes a message to resurface at the top later at a pre-determined time. Overall, Boomerang is a great tool to follow up on sales leads that went dead, avoid back-and-forth scheduling headaches, communicate with recipients in different time zones with ease, or even help clear out the clutter from your inbox. If you are hoping to grow Excel into a more visual-focused collaboration tool, then look no further. 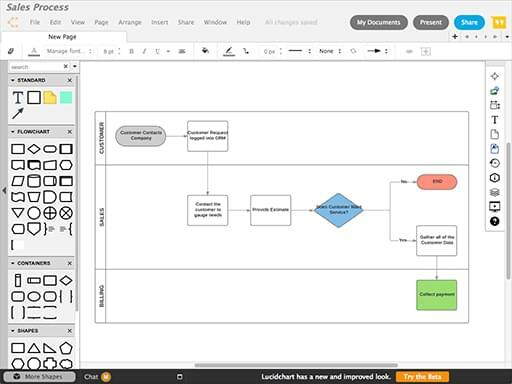 HTML5-based LucidChart Diagrams allows users to add in an entirely new collaborative element to Excel. More importantly, the add-on also brings to the table an entirely new visual element for Excel, breaking away from just numbers and charts. Users gain access to hundreds of different templates including flowcharts, wireframing tools, mockup tools, network diagrams, business process models, and even mind maps. For even more control, users can use completely different shapes to build their charts and graphs, drag and drop their own images, or export the entire piece as a PDF, PNG or JPG picture file. Users can also embed their diagrams into blogs or wikis and create interactive mockups. For real-time collaboration, changes to documents are merged and synced to all users simultaneously, and the whole thing even includes group chat as well as a commenting system. The app is also available for Powerpoint and Word. Just like all platforms, SharePoint has its strengths, but it also has its weaknesses. SharePoint can be great for managing projects, documents and files, but when it comes to visual project management it falls a little bit flat. 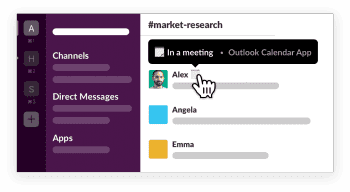 Some of our favorite collaboration solutions (and Basecamp alternatives) tend to include visually-focused elements like Kabnan boards. And of course, that’s just what we found for SharePoint with Saketa Kanban Board. 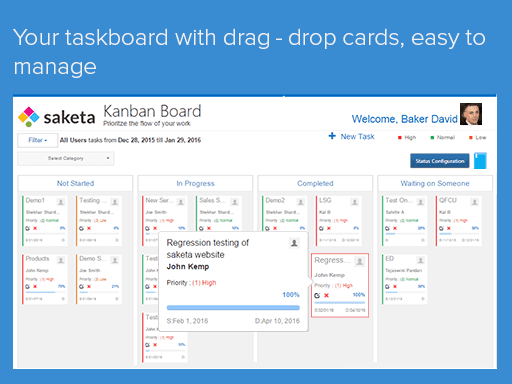 This add-on allows users to manage tasks with the visual aids of a Kanban style task manager. Saketa simply organizes all of your existing SharePoint tasks visually onto a “board,” with tiles of each task to display the most relevant information. Task priority can be represented through different colors, and users can set the sequence of cards or reassign and re-prioritize tasks. Users can also organize and sort by start date, assigned user, or due date. If you are searching for a visual aid to add to SharePoint and are not a fan of Kabnan style organization, then maybe Gantt charts will help. While it is a paid add-on, Milestone Gantt provides a new, visual way to organize tasks and track the progress of existing projects. 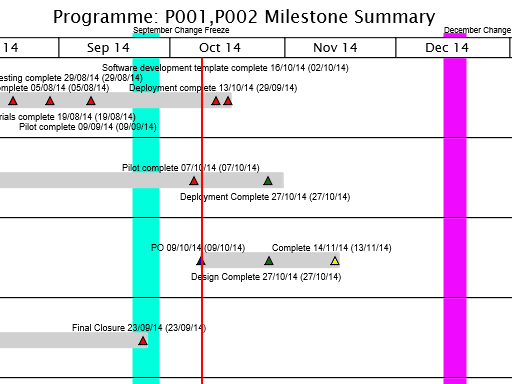 Users can view project milestones and major updates on these Gantt style charts, and even have the option to display progress and baseline bars. This one should come as no surprise, but some might not even realize it exists! Salesforce is easily one of the most popular CRM solutions, and for good reason. 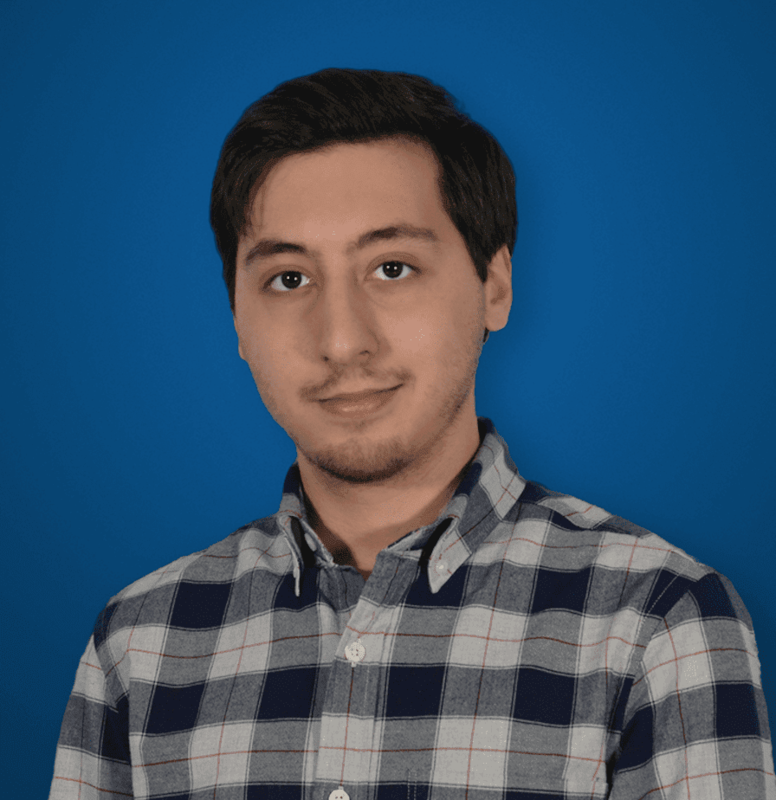 If your team is already using the popular solution, the Salesforce Lightning is one of the easiest ways to help boost efficiency and productivity (aside from integrating Salesforce into your UC solution, of course). But, Salesforce Lightning enables users to view all contacts, leads, accounts, opportunities, cases, and custom objects associated with emails and appointments without ever having to leave Outlook. 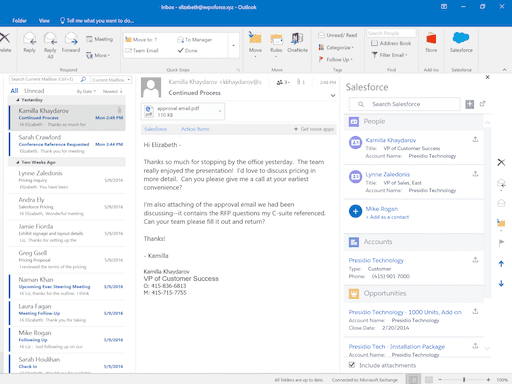 Users can also search Salesforce records directly inside Outlook, as well as create new records or add emails and appointments to records in one click. In standard integration fashion, everything is about saving time and boosting productivity. 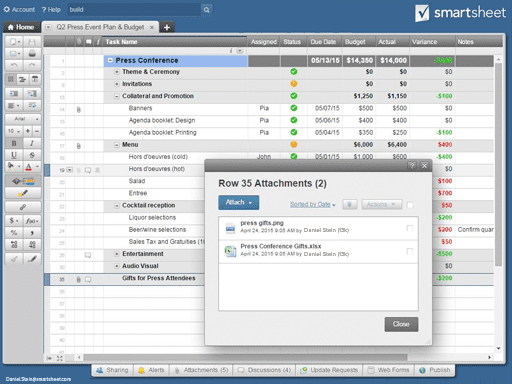 As a unique take on project management and collaboration, Smartsheet is a spreadsheet-focused solution. With its familiar and simple layout, the idea is that teams can organize the information in a readable format without the distraction of visual aids or over customization. With Smartsheet for Outlook, users can bring that simplicity in the solution and integrate it directly into Outlook. Users can organize and track projects, or even collaborate on the projects directly from their Outlook inbox. For some power features, users can covert any e-mail directly into a shared item that appears as a new “row” on your Smartsheet for all participants to see instantly. Alternatively, keep your entire email conversation surrounding the project closely linked to the associated task for quick reference. Smartsheet also includes a search function so you can quickly locate whatever it is you’re looking for.